Last week was the annual ‘Vakantiebeurs’, the biggest fair we have in the Netherlands that is all about travel and vacation. Like every year Matoke Tours, our dear partner in the ‘Virtual Gorilla’ project, was present here to excite people about visiting Uganda with them. This year they were also selected for an award in the category ‘exotic destinations’, the most prestige award of the fair. It was no surprise to us that they actually won the award since Matoke Tours really is a great organization. We know, because we travelled with them to Uganda in May 2015 to record the first ever travel brochure. VR Gorilla is really proud of this achievement, since our combined project ‘Virtual Gorilla‘ played a big role in the election. 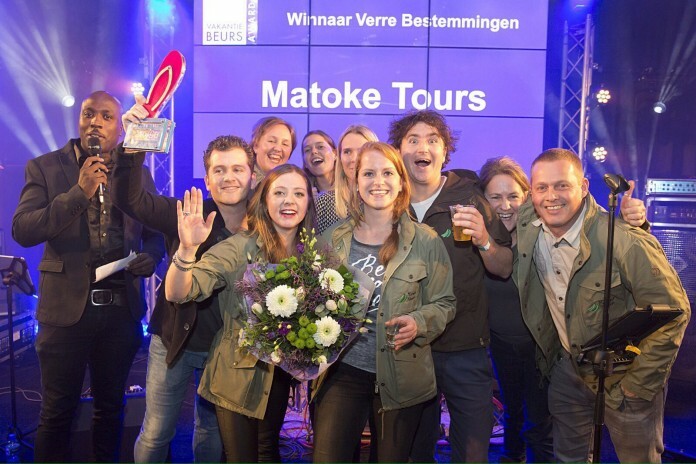 Congrats Matoke Tours! The most unique part of Virtual Gorilla is the encounter with a young mountain gorilla, read more about this in Meet The Mountain Gorillas.